I have spent the last few days searching the threads in this forum trying to find and buy all of Hayley's music. There is also The West Side story, but I am afraid that this one, the special edition albums, and any others are going to have to wait until next pay day now. I have also read about the album Walking In The Air, but that it is extremely rare. But the reason I am making this thread is that I want to ask have I missed anything? Any help is much appreciated as I would like to get as much of Hayley's music than I can. In fact when these albums arrive I will own more Hayley albums than I do of any other artist! As for singles I am never usually too fussed. But I am interested if there are any songs that are not included on any album but are available for digital download. It is certainly expensive being a new fan, especially of an artist as successful as Hayley has been. All this spending will be well worth it though. Well, there's Crystal (Japan) (available at Ebay and probably HMV!) and numerous albums entitled 'Hayley Westenra.' These are all compiliation albums. I have no clue where to get them! Also, there are lots of versions of Pure, Odyssey, and Treasure. Hayley has a few singles, and also a few re-recordings of the ablum. For example, she did Odyssey twice, one international, and a special UK edition. There is also the American Treasure - called Celtic Treasure - with different tracks. Also, the NZ Treasure, Pure and Odyssey Speical Editions. And of course, she has film soundtracks on those types of CDs. But you seem to be pretty on track! Thanks a lot. Looks like I am going to have to make another list for next month! Hi Dazza, in addition to the CD's,there is one very important disk you should have. The DVD, Live From New Zealand if you haven't already got it I would add it to your list. 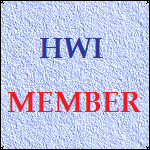 It is a “Must Have” as you will find, just about everyone at HWI has a copy,and I know you will enjoy it. It should be available through most reliable websites. I've just searched my song list for albums, radio interviews, TV appearances, DVD's & live concerts & should have something usable for you tomorrow or so. I've yet to erase the duplications & make it presentable etc. Everybody seems to need different things but in my case I wanted everything she'd ever sung even one offs. eg. 'happy birthday' to her dad who was with her that day at a BBC interview. So am I Graeme! Do I need to get a bigger hard drive? As other members have mentioned, there are numerous versions of Pure, Odyssey and Treasure. There are always two or three tracks which differ from one version to another. Other tracks were download only versions but you chose wisely when ordering Prayer because that will fill a lot of the gaps. As Rodders has said, the one item that should be made compulsory(!) is the DVD. You really should give that absolute priority! Thanks for the information everybody and I am very much looking forward your list Graeme. I'll need to make a list of my own for the ones I need to get when I am next paid. When the DVD arrives, I truly believe you will think buying it was the best thing you ever did. When everything else currently on order arrives, I think you will only be missing the odd track. List them and we should be able to identify which versions you need to buy to complete your collection. As you mentioned earlier, the problem will be the promo album, 'Walking In The Air'. We have known them to appear on Ebay but they are extremely rare and you may have a lot of competition from other members! This DVD is the first Hayley item I owned. After seeing it, I ordered 'Pure', 'Odyssey' and 'Treasure' because I was completely hooked! Like everyone said, you will definitely not regret your purchase. May I also suggest that you get the 'Celtic Woman - A New Journey' DVD as soon as you can. It's the recording of the PBS TV concert and it is a superb show. This is how I discovered Hayley (thanks to the great advice of my little sister!). I am very much looking forward to the DVD. I really can't wait for everything to arrive, I really will own more Hayley Westenra stuff than anything else. I have read about 'Walking in The Air' with people bidding £100's on ebay, I would love to own a copy, but as you say, so would many others too. Stephany, I have read about the 'Celtic Woman - A New Journey' being quite an experience compared to the CD, this is another one for my list. That's a coincidence indeed - exactly how I too 'discovered' Hayley! First, 'A New Journey', then, 'Live from NZ', then ...... xyz! DVDs have the 'edge' over CDs, I think. They give the full experience. Well, yes, I am sure it was, but that is partl;y because you came to know All Angels in their fairly early days - only one version of one album, and a single. To start collecting Hayley enire repertoire now isn't easy but it is not impossible (apart from WITA, perhaps but that was never commercially relased anyway). You have already made an incrdible start and I know you will not regret it.